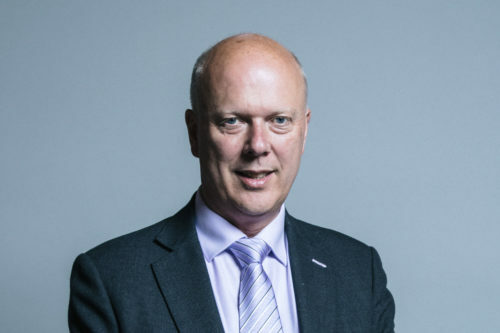 Chris Grayling has been challenged by SIGOMA to provide official data on the Department of Transport’s regional infrastructure spending plans. The call comes after the Transport Minister publically dismissed professional analysis by think tank IPPR North of national infrastructure spending, raised in a commons debate on the Shipley Eastern Bypass by Dianna Johnson, and failed to attend commons transport debate organised by the MP for Hull North. It also follows the leak of parliamentary papers suggesting Transport for the North may not be afforded the full statutory powers and authority necessary to “take control” of investment in the region. Referencing Mr Grayling’s article in the Yorkshire Post, in October Mrs Johnson asked the minister to explain how the region could be expected to make a success of Northern transport “with London getting 10 times as much money for transport investment as Yorkshire and the Humber”. In light of the minister’s decisions earlier this year to backtrack on the electrification of key rail routes across the north and prioritise London’s Crossrail2, his response, that “some of the figures bandied around by think-tanks in the north are simply inaccurate” sparked understandable consternation. The new challenge, an open letter issued by Sir Stephen Houghton, Leader of Barnsley Council and chair of SIGOMA, an interest group representing 46 nationally, called on the minister to clarify his comments and for the Department of Transport to provide its own data on the regional split of national infrastructure spending if they were willing to stand by his claims. Commenting on the letter, Sir Stephen said: “The figures dismissed by the minister are based on professional analysis of publically available data which has been independently verified by FullFact and SIGOMA. “While the minister is perfectly entitled to challenge this analysis, if the implication – that regions outside London are getting their fair share of national transport spending – is one he is willing to stand by, the onus is now squarely on the Department for Transport to provide its own regional-level data to support that picture.